We have now re-organized our household in Cyprus and it is time to start preparing the upcoming boat trip. 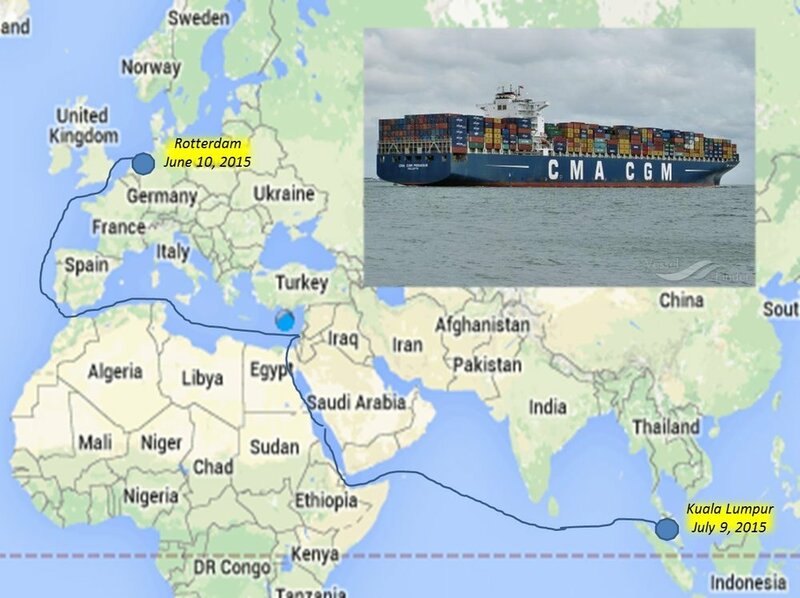 Francien and I decided to take a container ship to travel from Rotterdam to Port Kelang in Malaysia. Both of us already travelled so much in airplanes and now that we have the time, an alternative mode of transportation, which takes much more time, is called for. Back in the time when we lived in South Africa our dream was it to sail from Europe to the tip of Africa, but we never had the time nor the money. We are expecting to get a better sense of how big the world really is during the 30 days sailing across the North Sea, Mediterranean Sea, Red Sea and the 10 days crossing of the Indian Ocean to get to your destination. The name of the container ship will be CMA CGM Titan, it is 363 meters long and can carry up to 14000 containers. It is a working ship and can carry maximum 8 passengers, so no cruise ship! In KL we plan to rent an apartment for twelve months and from there we want to explore South East Asia. We never did live nor work in the Far East and the few vacations we had in Asia (in India, Nepal, Thailand, Indonesia and Malaysia) made us curious about this part of the world. We will keep our home in Cyprus as our base and in case our Asia adventure is not what we expect it will be, we will return back to this beautiful Mediterranean island. While visiting our daughter in Berlin a few weeks ago, we took the mandatory yellow fever vaccination and passed the medical check-up. On the ship there will be no TV, no internet and very limited e-mail capacity, so it is important for us now to get interesting (e-) books to read, games to play and materials needed to start writing my next book.